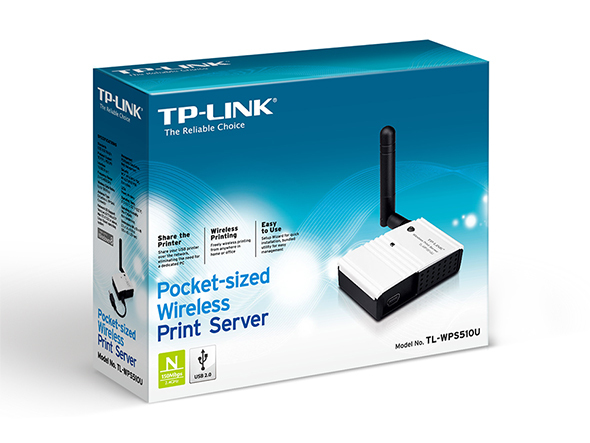 150Mbps Pocketed-Sized Wireless Print Server TL-WPS510U is an ultra-compact print server that enables a single USB printer to be shared on a wireless network. It allows you simply place your printer anywhere in your home or office that works best for you. With the TL-WPS510U, there is no need for a dedicated computer anymore, everyone on the network is empowered to print to a shared printer at any time. The TL-WPS510U print server supports IEEE 802.11b/g/n wireless network standards. Users can share the printer and configure the print server through a wireless network. With its wireless function, everyone on your network can enjoy the benefits of readily accessing a printer with the convenience of wireless connective, and you can simply place the printer anywhere you like. The TL-WPS510U is designed to support multiple operating system, it is the ideal print server in a environment full of different operating system. TL-WPS510U can not only work properly on Windows 2000/xp/2003/Vista, Mac OS X 10 or above and Linux, it now can also work properly on Windows 7. So if there are different operating systems in your home or office, TL-WPS510U can meet your needs. 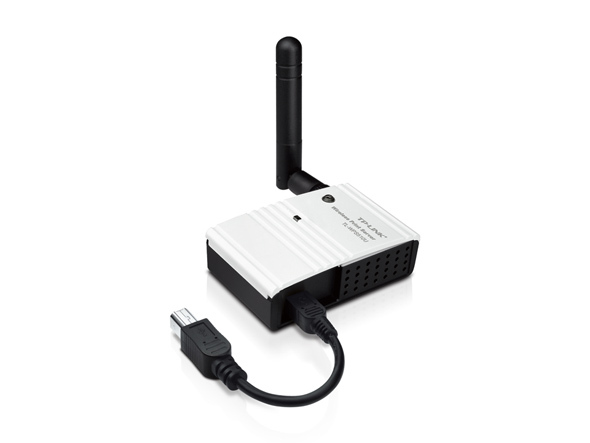 The TL-WPS510U has an IEEE802.11b/g/n wireless interface that makes a wireless connection possible. For the users who want to use the wireless function, the TL-WPS510U provides the necessary security for you, using the selectable 64/128-bit industry-standard WEP (Wired Equivalent Privacy) and WPA (Wi-Fi Protected Access) data encryption, you can safely transmission the data that you are concerned. With the TL-WPS510U Easy Setup Assistant, you can quickly configure your new print server to get you up and running in minutes. Our assistant walks you step by step through the installation process that even a novice user can also easily setup the print server. With the user-friendly web-based setup and windows-based utility, you can easily use and configure your print server from any computer on the network.